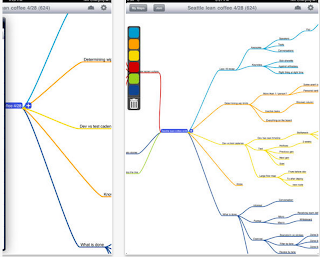 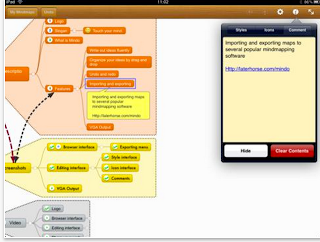 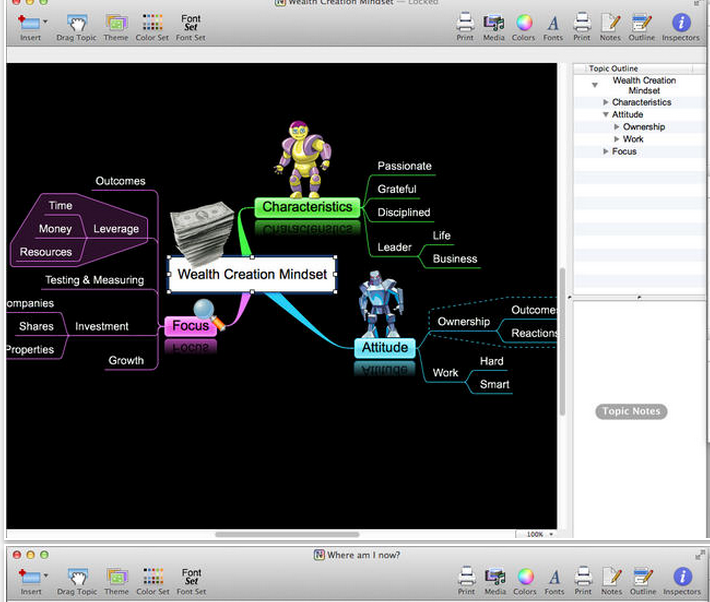 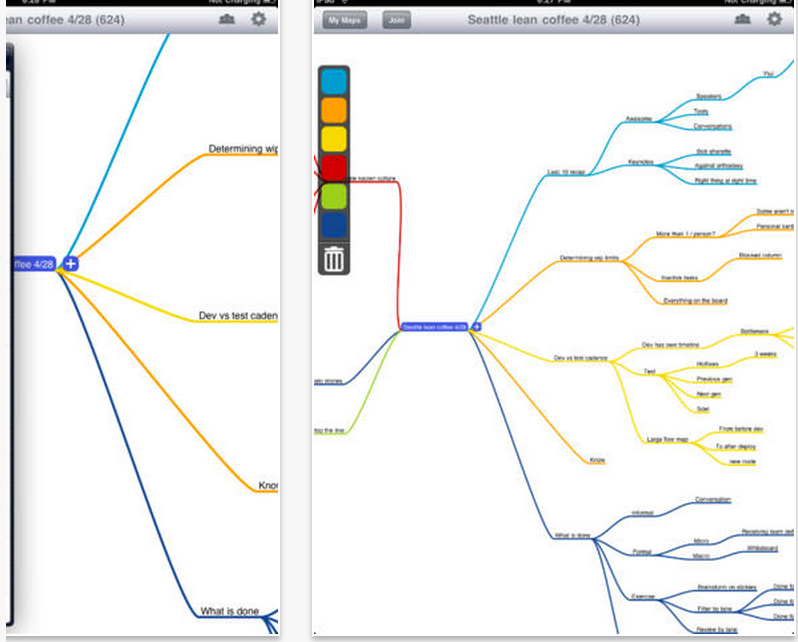 MindNode lets you lay out your notes and tasks visually so you can get a bird's-eye view of your project. 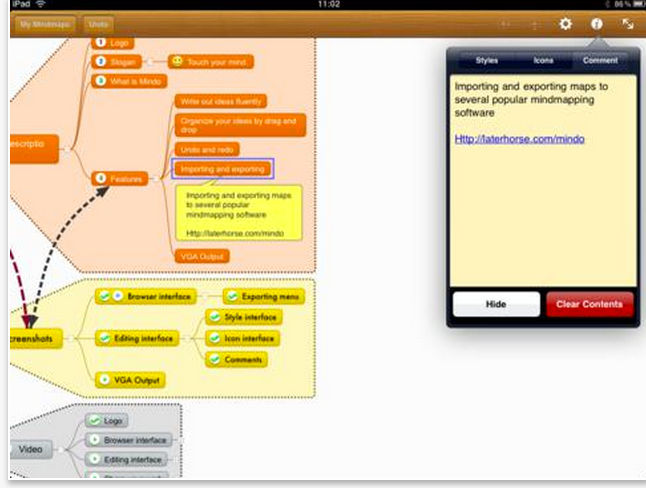 The clutter-free interface lets you concentrate on generating and connecting ideas, and an infinitely expanding canvas means that no matter how big or complicated your project gets, MindNode can keep up. 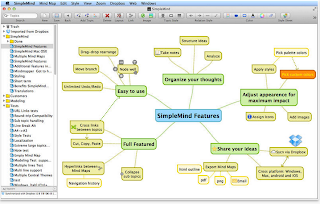 Create interesting and meaningful Mind Maps using the wide range of different shaped topics such as lines, rectangles, cloud shapes, parallelograms, arrows and ovals. 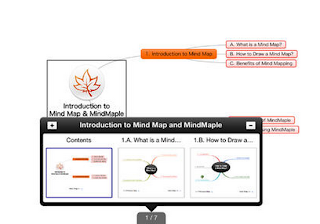 You can even use custom shaped topics, giving you unparalleled flexibility of topic shapes. 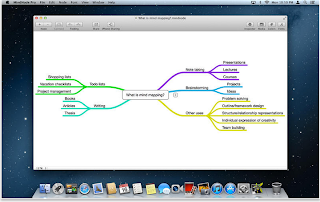 Maptini lets you build mind maps collaboratively on your iPad, iPhone, or the Web, syncing data in real time as you work with your friends, classmates or colleagues from anywhere in the world. 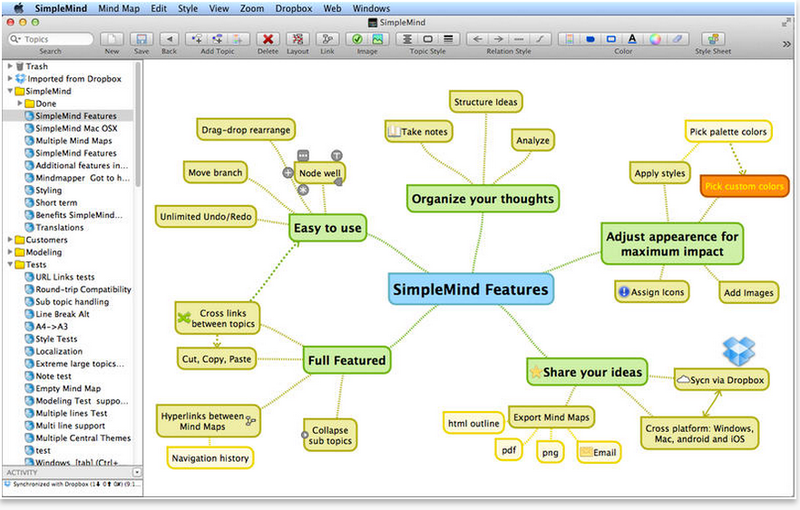 It’s a simple and intuitive tool for organizing and sharing your ideas from a lecture, a project, or a brain-storming session. 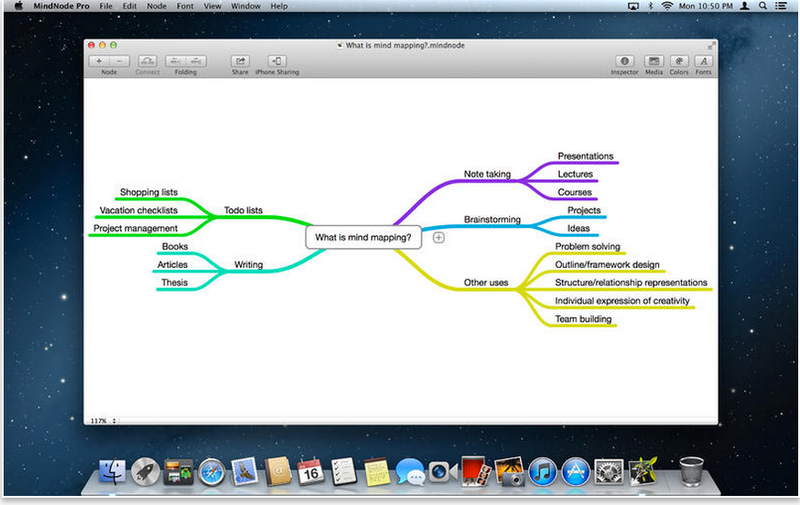 Hold that thought. 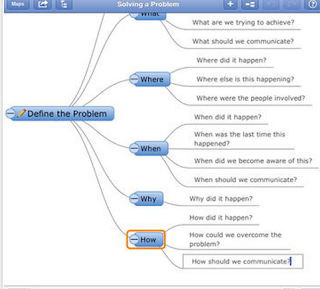 It’s something most of us try to do often – especially when we are on the go – with varying degrees of success. 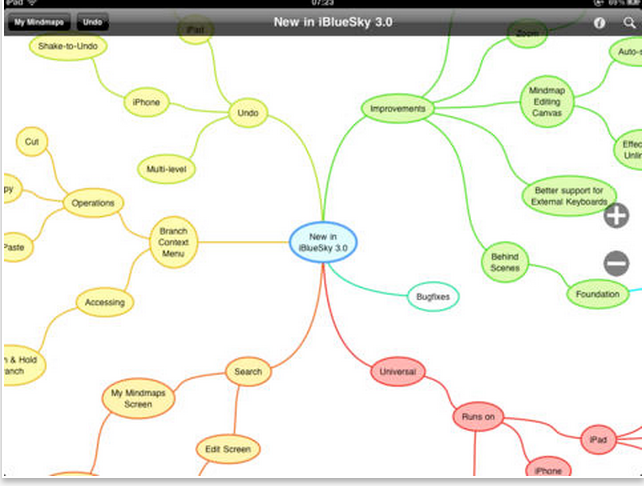 Whether you are a GTD convert, a mindmapping pro, or one of the time-poor masses, iBlueSky could really make a difference. 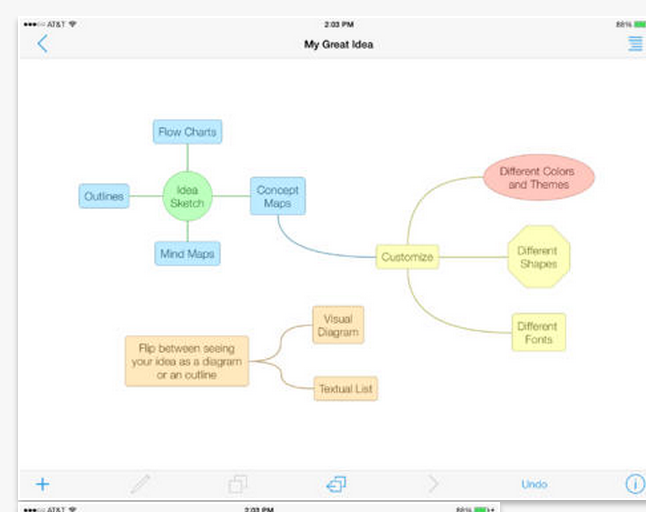 MindGenius for iPad is the perfect tool for capturing information on the go. 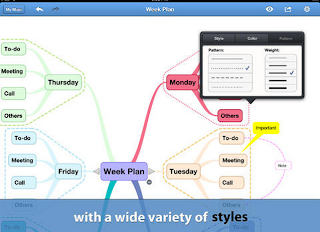 Use it for taking notes in meetings and seminars, creating quick to do lists, and anywhere else you require a fast, intuitive method to collect ideas and information and think things through. 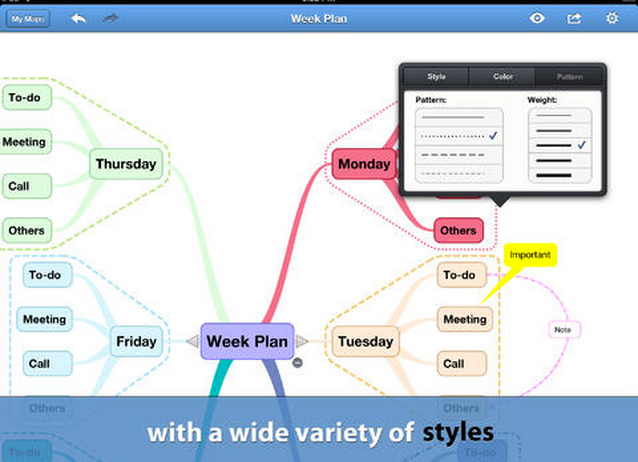 MindMaple for iPad is a fast and intuitive way of organizing and prioritizing information for project management, brainstorming sessions, idea sharing, drafting lesson plans, taking lecture notes, problem solving, managing schedules and more.